She had a lifetime of fake virtue without receiving a virtuous ending. In the next lifetime, she controls fates with the flip of her hand. To the jerk who wasn’t faithful, she’ll draw a premature death talisman for him. For the poisonous step mother, she’ll send a death flower. For the step sister who is two faced, she’ll personally rip off that fake pretty face! This one is really pretty good, it reminded me of 'The Rebirth of the Malicious Empress of Military Lineage' (that is my favourite one for second chance novel) and it focuses on a theme that wasn't really highlighted in that novel, that is their previous life children. Another great difference is also the fact that the MC does not really have a family that loves her, so there is not all the loving affection of a family we see with Sheng Miao, but everything is balanced by the Male Lead. This Male Lead is veeeery peculiar, completely different from Xie Jing Xin, and all the others male leads of others rebirth novels. Here we understand from the start that he is OP and absolutely in love with the MC. the MC rejects him continuously and hurts him really badly but he does not give up, and this is a great trait of him. So, there are few misunderstanding but not really hateful ones, though sometimes you might feel sad for the MC or the Male Lead (especially for him), it's not to the point where you want to kill one of them because he/she does not understand (it happened to me for Princess Medical Doctor, he male lead was really toooooooo stupid for having misunderstood..). The beginning was so good that it made the following developments pale next to it. The first few chapters of the novel had this murky, dark, and dangerous feel to it; it gave the story a second layer of anxiety that I really like, similar to a good horror story. Then, the author decided to follow the typical second-life revenge plotline and things turned a little average. It's still good but it doesn't quite give me the same level of excitement and anxiety. The male lead so far has been a welcome change from the typical overbearing and forceful Chinese male leads (I love how he respects the female lead's feelings and decisions!) but we'll see how long his good behavior lasts. Also, I feel like the way the author wrote their relationship was a bit sudden. It kind of felt like she couldn't decide on an effective background story about the purple eyes so she decided to roll with the whole disciple sibling thing without a firm foundation. Sidenote: The male lead seems a bit different from the image I got in the summary (Maybe he turns overbearing when he's angry?) so I might be getting red herring-ed by the author—which would not be completely impossible because she does throw some red herrings at you regarding the male lead. Readers, good luck not getting tricked the first time. Essentially, evil stepmother tried to use the whole "she got raped/ruined reputation" plan but fails. Male lead sent four of his personal bodyguards (They have a group name of Twelve Feng or something like that) to save the female lead except she kind of didn't need the saving. Female lead actually had another plan she needed to enact but Feng 3 (Each Feng goes by his number) pressed her acupuncture point and almost ruined her plan. As punishment, she decided to force Feng 3 to crossdress as a female and send him to his master (the male lead) while having him say "Master, aren't I pretty?" Needless to say, the male lead's reaction was pretty hilarious. Feng 1, 2, and 4 were pretty disgusted too, hurting Feng 3's feelings so he became an actual crossdresser for reals to annoy them as revenge. This novel disappointing me in a different way than other novels do. That's because it started out with a BANG! The beginning of the story, not what happened at the very end of her first life (this isn't a spoiler as it happens in EVERY rebirth second chance novel), but the first revenge action she took was amazing. It was cruel, almost in a sickening way, but still amazing. It was something DIFFERENT from the normal schemes between women in these types of novels. It actually gave me really... more>> high hopes thinking... This is a woman who's definitely going to take revenge to the extreme, rather than trading petty tricks with the people who ruined her entire life the first time. However, this excitement was immediately followed by disappointment. After that one extreme revenge point, it became another generic novel. Every plot she's accomplished in these last 100 chapters is a scheme I've read multiple times in other novels. The evil step-mother and concubine step-sister want to drug her and have her caught in the act of adultery?... She'll turn things around so it happens to the evil step-sister instead! Peeling the skin from the man's body, having her master of disguise servant wear it to provoke the guy's brother into "killing" the guy, making the brother think he killed his own brother? Awesome! Then, taking bones from the guy to carve a flower, using his blood to color it? Crazy, extreme, but ridiculously interesting too! This gave me high hopes. She did all of this with a smile, even excitement. It showed that she in a way was actually and realistically broken in a sense from what happened in her previous life. Except.. all of that went away. It became a boring "I've lived a full life already so I'm calm, always prepared, and can't be caught in all these schemes" kind of novel. A novel where thousands of times when reading you want to slap the MC for saying things like "they haven't suffered enough yet, so I'll keep them alive longer". Damnit, just take them into a dungeon and do those awful things you did in the beginning. Make it a REAL novel about revenge. After that, I dunno, have new characters appear, maybe ones with relations to the people who died become her enemies. It always annoys me when these MCs constantly keep her enemies alive and just poke at them with a dull stick. I'm sure she'll eventually get her revenge in the end, but 90% of the middle of the novel shouldn't be generic filler just to get there. The only thing that leaves me hopeful in changing this review score is that this novel is only close to 500 chapters long, instead of the 2K long novels. That hopefully means it won't be dragged out. I guess we'll have to see. As for the translating and editing, I rate it a 3.5/5. This is strange since the translating/editing job is close to perfect. There are randomly some words missing here and there in the chapters, (actually kind of odd, never wrong words, just missing words) but that's not why I've marked it down. Sentence sentence sentence sentence sentence sentence sentence. Sentence sentence sentence sentence sentence sentence sentence sentence sentence sentence sentence. Sentence sentence sentence sentence sentence sentence sentence sentence sentence sentence sentence sentence sentence sentence sentence. I really like this novel. I think it is well written and has a strong dark undercurrent of tension that you don't always find. This is very similar to many other historical female revenge novels (like "The Rebirth of the Malicious Empress of Military Lineage" or "The Princess Wei Yang") in that this is NOT primarily a love story. This is a story about revenge and battling the demons that path creates. There is a romantic subplot and the male lead is very well developed. I think a lot of the... more>> readers identify with him more then the female main character in that he is easier to understand and more relatable, so it is upsetting when he is hurt and pushed away by the MC. But this is a story about hate and revenge, love and romance are not what the MC is looking for. Though readers say it is pointless "misunderstanding" and "angst, " I think that the way she treats him fits her character and the story well (as of chapter 166). I find it sad that, in response to the negative reviews, the translator has decided to rush through this section of the story with summaries, in order to get to a happier part. Not everyone is going to love every novel. And it can be frustrating when a story moves slowly or goes a direction we don't want, but avoiding such things does not make the novel better, it makes it bland and forgettable. had died and her hand slightly touched her (also dead) child and than she shred a tear of blood, while the servants? Was dragging her dead body away. Her obsession with wanting to get pregnant from a guy who had a cause in her death and treated her like crap is just getting too old. Not to mention, the way she treats her senior brother, is cringe worthy. I find myself really hating the MC and hoping the ML will just tell her later and find someone more worthy. I have read some spoilers where it says she eventually gets with the senior brother but I can't get through the chapters to get there. I understand for the story to be interesting there has to be some "misunderstandings" and I'm usually all for a few, as it makes it all the more wonderful when they finally get together, but this is just too bad and dragging out for WAY too long. If I could find summaries of the chapters until she gives up on her idea of having s*x with a guy she despises I would be more interested. You know the drill, people. A reincarnation story with the same soul, then revenge, revenge, revenge. A lady who dedicated her whole life to single man; supported and sacrificed everything to make her lover sit on that dragon throne-- only to be betrayed by her own sister. She then reincarnates when she was just a child and changes everything from there. What's the difference of TFDC from other stories? The MC's not so cold-hearted and she faces everything using her innocent facade. The story even began years after she reincarnated and you might... more>> find your self saying "what the hell's happening?" at the start. But hold on folks and you won't be disappointed (or you might, since it started with such a gory scene. Please refer below if you want to be spoiled). She killed a rather thick-faced man. Skinned him alive and made her follower wear his skin as a body suit. Then after a few chapters the author probably decided she doesn't want any gory scenes anymore and made the other arcs with only schemes and the likes. The beginning of this was quite heartbreaking. Crueler than anything else I've read so far. 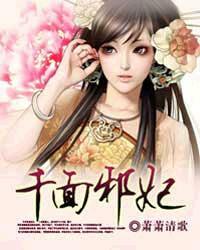 When Qingwu is given a second chance, she prepares to take revenge using hatred as her main motivator to live on. She is no longer that naïve little girl, finally seeing how two-faced the people around her can be. Revenge and rebirth, my favorites! The MC finally rebirths and wants to take revenge against her unkind family. Thankfully, in this life, she is a lot more powerful and smarter. The pace is fast and you can feel the suspense building up. The translation is smooth too. 3 chapters in, and I'm hooked. Deja Vu: It's following the usual rebirth/revenge script, so for the heavy reader, you could probably write the first two chapters yourself, minus the flavor text. If you're honest with yourself, many of the rebirth and revenge novels are a kind of second-chance high school power fantasy: Avoid the pitfalls of the old life, end up with the power and the hot guy everyone wants to date. The reborn girl is the prettiest, the snarkiest, and the kind of revenge she gets is more about getting... more>> ahead of the people who want to hurt her (and if they trip and fall on their own knives while being d*cks, it's called karma). She'll go her own way, being good to those who are good, and paying back slights a hundred fold. But generally, it's a kind of honorable existence. There's scheming, but if the target wasn't a bad person, there wouldn't be a handle in the first place. Deja New! : From the little I've read and the MTL I've hacked through (because it was so good, I couldn't let it go), this is what revenge is all about! It's vicious and bloody and just *mean*, and it's hiding behind a white lotus smile. If the usual character kills a man (perhaps painfully) for killing her people, this girl kills him painfully as part of plot 1, then turns his skin into a lure and bones into a gift soaked in hallucinogens to give to his brother as part of plot 2. I thought it's a horror palace drama since the first part depicted an MC skinning a low-level villain and doing some voodoo-like things to her sister's fiance but I'm wrong because it immediately turned into a normal drama of its kind. The first part is nice though, kinda thrilling and mysterious and I got goosebumps reading about that. This is a second chance at life or do over / revenge type of story. Though it's still early to say from the available chapters, I do think this novel is a good read. I especially like the male MC, just that he's too much of a wimp when it concerns the female MC. I mean, he couldn't just come out and say how he felt about her her so she just proceeded to her plans you know and end up getting his feelings unknown, well for a time. But I really hope there's a difference as the story goes on! I don't want to be disappointed. Looking out for more translation though. This is my opinion though I'm new to chinese novels, hoping this novel will be great. you went too far in the realm of the super-natural. Also the female lead schemes too deep and doesnt resolve her grudges to my likening - she is over-complicating things way too much. The nail in the coffin is the male lead who is basically a case-study of "how to loose a woman that likes you in five days".. All in all its a solid patch-work of petty conflicts, only worth a read if you are in the mood for small-minded women having cat fights but already read the "good" storys. The only reason I'm so disappointed was the fact that it started so so good. Then, it started plummeting at rocket speed. The MC for some reason or another loves to torment the ML and honestly at this point I don't know why he's still in love with her. She just keeps breaking ML heart and at the latest chapter, she made some really deep and meaningful and sacred promise and ML truly believed it and.... Guess what? Apparently it was words from when she was young, so it doesn't... more>> count. And WHAT? You can visibily see the heartbreak and despair from ML? Lol whatever I'll still say this heartbreaking words and see him crumble in despair. Then when he leaves I'll sit there and think that I really hate this part of myself. Sigh the MC is hateful and pitiful. Reading about her reminds of this other review I saw once where the person said if the MC is too pitiful and hell bent on revenge it would be better for the MC to have died. Since it looks like just living is a torment, having to remember the vicious past. This MC is pitiful because her past is so dark and tragic and in her present life she can't let revenge go so she hurts the ML. But also she is hateful as instead of outright rejecting ML to pursue her vengence, she continues to insult his feelings for her by backing out on promises and slashing at his heart. As the title said, this is a demonic story. MC killed tragically in her past life so in her reincarnation she get revenge with her black magic to all those she hate. Full of gruesome, cruel, ruthless, and spooky mysterious scenes. scary yet picking my curiosity to how its gonna end. This is a very good novel, I really love that she is very ruthless and smart. She able use her beauty and rip her half- sister face off. the Male lead is really doting on her. But the rest seem pale compare to her first revenge. Ok, so here we have a typical not-so typical reincarnation and revenge themed novel. Meaning : the MC lives her life for a second time and she wants to take revenge against her family (scheming step-mother and step-sister, dead mother, greedy and uncaring father). Of course, she is waaaaaaay smarter and powerful than in her previous life.